IMF Managing Director Christine Lagarde dropped out as Smith College's commencement speaker, following student protests. The Class of 2014 is snubbing two powerful women this graduation season. Christine Lagarde, head of the International Monetary Fund, has withdrawn as a commencement speaker for Smith College after students protested the event, citing issues with the organization's policies in developing countries. The announcement comes a week after former U.S. Secretary of State Condoleezza Rice withdrew from speaking at Rutgers, following protests. In an online petition with 482 signatures Smith students call the the IMF "a primary culprit in the failed developmental policies implanted in some of the world's poorest countries." "This has led directly to the strengthening of imperialist and patriarchal systems that oppress and abuse women worldwide," they say. Lagarde's accomplishments were not in question. One of the top leaders in the world, she previously served as France's finance and economic minister, a position that's equivalent to the Treasury secretary in the United States. She was the first woman to hold that post in a G8 country. Smith College is a women's college in Northampton, Mass., and previous graduation speakers include Arianna Huffington, Rachel Maddow, Gloria Steinem and Madeleine Albright. As for Condoleezza Rice, Rutgers students, faculty and alumni took issue with her involvement in the war in Iraq as part of the George W. Bush administration. "Iraq is not a land confined within our imaginations, but a country of millions whose destruction came at the hands of the Bush administration and was enabled by our tax dollars," student protesters wrote in an op-ed in The Daily Targum. Rice responded via Facebook, saying "Commencement should be a time of joyous celebration for the graduates and their families. Rutgers' invitation to me to speak has become a distraction for the university community at this very special time." Student protests against their graduation speakers are nothing new and have been leveled at conservative and liberal speakers alike. Anna Quindlen once dropped out as commencement speaker at Villanova University, after students objected to her support of abortion rights. Last year, former World Bank President Robert Zoellick was forced to withdraw from speaking at Swarthmore College after students protested his support of the Iraq war and his role in the Bush administration. Zoellick is a 1975 graduate of Swarthmore. So what about freedom of speech? In these recent cases, both Lagarde and Rice said it was more important to preserve the celebratory spirit of graduation day. "I have defended America's belief in free speech and the exchange of ideas," Rice said in her Facebook post. "These values are essential to the health of our democracy. But that is not what is at issue here. As a professor for 30 years at Stanford University and as it's former Provost and Chief academic officer, I understand and embrace the purpose of the commencement ceremony and I am simply unwilling to detract from it in any way." 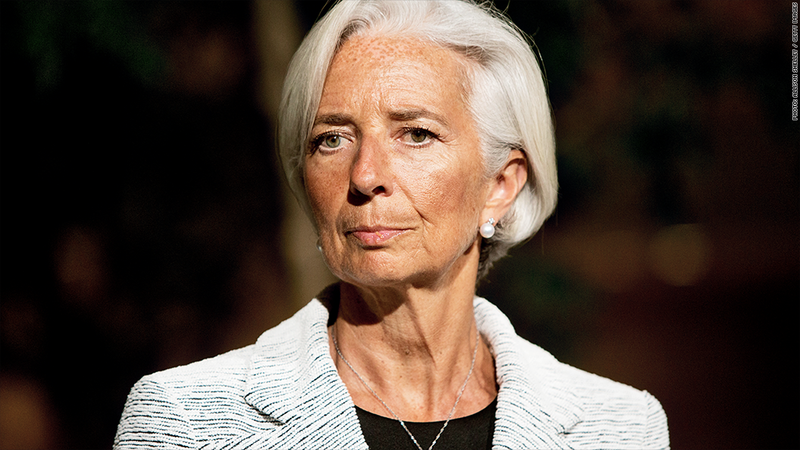 In a statement, Smith College President Kathleen McCartney said she had been looking forward to hearing Lagarde speak. The activists had achieved their "desired effect, But at what cost to Smith College?" she asked. "I want to underscore this fact: An invitation to speak at a commencement is not an endorsement of all views or policies of an individual or the institution she or he leads," she wrote. "I remain committed to leading a college where differing views can be heard and debated with respect."